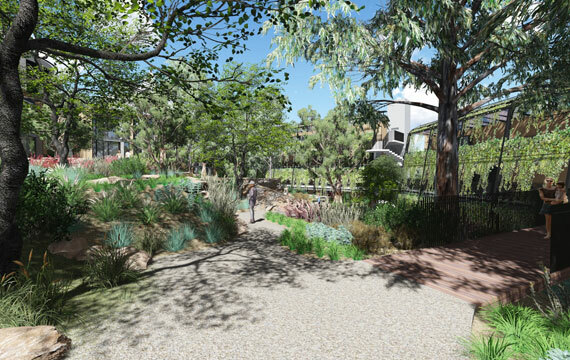 Green & Dale Associates, appointed as Creative Design Consultant in late 2015 for the Australia Habitat and Wildlife Retreat Design at Taronga Zoo. This included preparation of a detailed Masterplan and Concept designs for the proposed stages of this significant development. This includes design of animal exhibits and design interpretation including landscape journey storylines and narratives. This project showcases heritage, culture and wildlife. 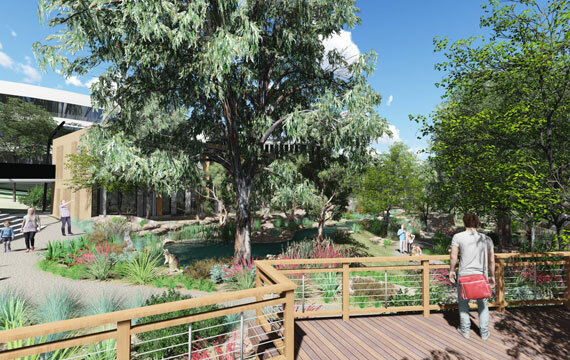 As part of Phase 1 of the revitalisation to Taronga’s Australia Habitat, the design provides a new overnight conservation experience. The Taronga Wildlife Retreat wraps around a wildlife sanctuary with free-ranging Australian animals such as wallabies, echidnas, bandicoots, Platypus, Koalas and Freshwater Eels. 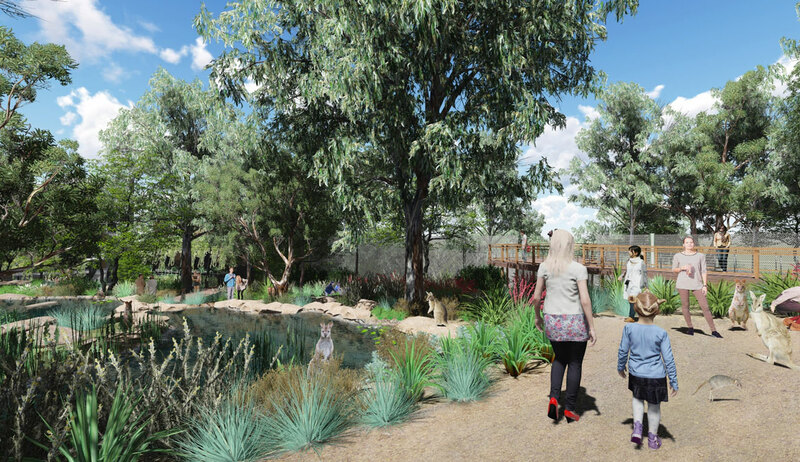 Central to the Taronga Wildlife Retreat concept is the opportunity it will provide for people to learn more about our wildlife and the threats Australian species face. Visitors will be inspired to become conservation champions. 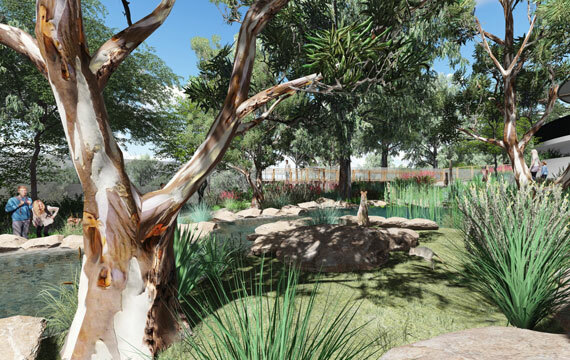 Tours and animal presentations will be hosted by Indigenous Guides, Zoo Keepers and Taronga Guest Experience Officers, in the context of an Australian native landscape. 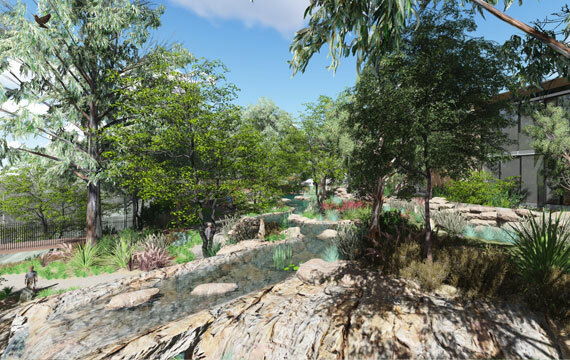 The proposed landscape vegetation and design interpretation is based on the natural features of Mosman Gully, site proximity to the Sydney Harbour and celebration of Cammeraigal Country. Green and Dale Associates, in association with Cox Architecture, for Taronga Zoo, Sydney. Renders by Facet Design.